It has an obvious fact that savvy restaurateurs know what turns their prospective customers on. A perfect amalgamation of courteous & speedy service and an alluring ambience makes the customers never want to leave a restaurant. It has been found that tasty food and flawless service are often not enough to win the hearts of food lovers these days. The concept of dining in the modern day has completely changed as people expect to eat at a place where they not only get tasty food and highly courteous service but also a perfect ambience that helps completely changing their mood. The restaurant owners are therefore facing a great challenge to keep up with their extraordinary competitors and to create customers that become a source of word of mouth marketing. 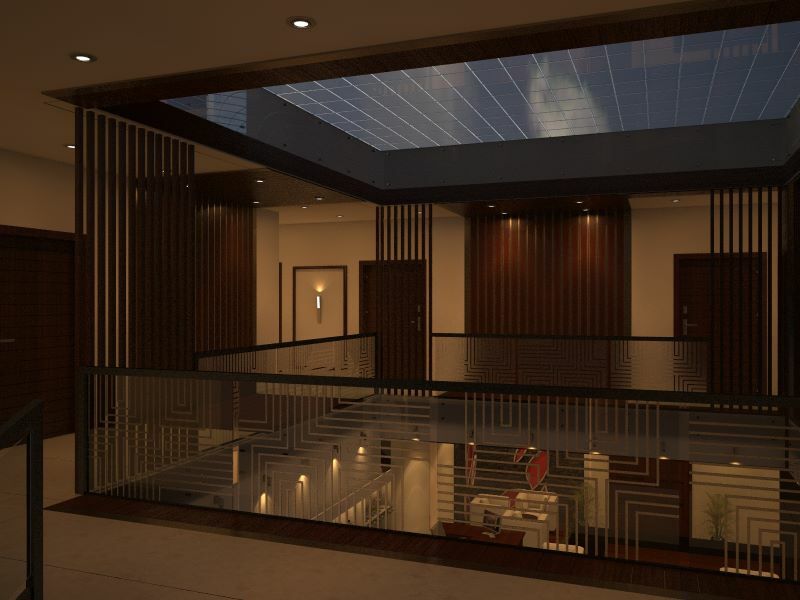 AmerAdnan® has designed several eateries and hotels in United States and Pakistan, the latest one being Royaute Luxury Hotel situated in the metropolitan area of Lahore, Pakistan that won the company, the prestigious Asia Pacific Award for its amazing interior design. Please read below to know about the elements that play primary role in the popularity of a restaurant. The theme of a restaurant is a huge part of why patrons come back, and ensuring customer retention & loyalty is a huge part of growing a business. This is why restaurateurs hire the services of qualified and renowned Pakistani interior designers. The light and cool colors are used restaurants that are smaller in size as they make the space seem bigger than real. On the other hand, the use of dark and warm colors is recommended for large restaurants as they prevent space from feeling vast. At the fast food restaurants, the interior designers recommend making use of bold and primary colors for encouraging fast food turnover and to make children’s areas appealing. If you want to make sure that your customers relax while they dine, you can make use of pastels. The intelligent use of lighting is another thing that gives your restaurant an inviting look. The use of spotlights has been and remains one of the best practices done by the restaurateurs. If it’s breakfast time, people would expect a lot of light to help them read newspaper or other stuff while they relish their coffee and/or breakfast. At the lunch time, a fast food restaurant needs to have a moderate level of lighting that would help creating a faster turnover of customers. For the dinner, people expect low intensity of light for creating an intimate and leisurely atmosphere. The fast food establishments should make use of really bright lights for signifying a place bustling with activity and very fast service. In a post by National Restaurant Association of the US, a strong emphasis has been laid on the role of lighting in a restaurant’s success. Apart from the intelligent use of colors and lighting in a restaurant, a restaurateur also needs to make sure that there’s a good sound system installed in a restaurant. The music plays crucial role in changing customers’ moods and enhancing their satisfaction level. A post by Buzztime also mentions the fact that music plays a huge role in enhancing overall experience of a restaurant/bar. Therefore one needs to be really careful while selecting the playlist of soundtracks for a restaurant.